And that difference is YOU! We all have the same amount of hours in the day, 86,400 seconds in fact and I hope that today and every day you choose to make a difference to yourself! 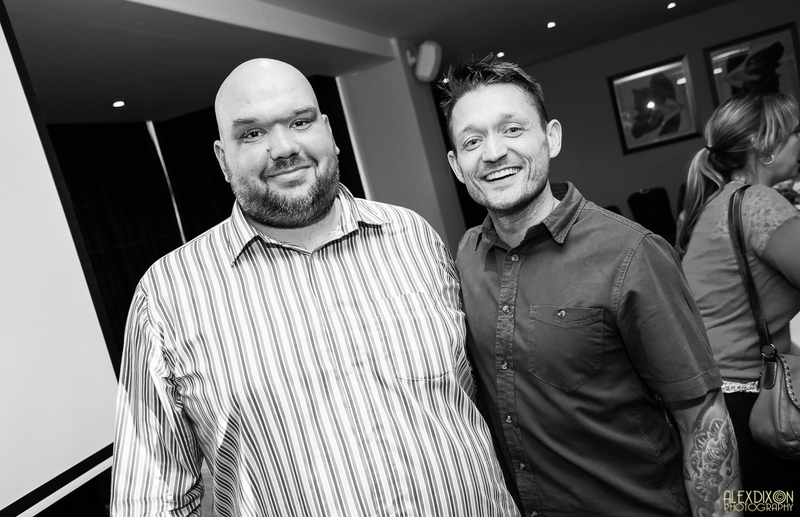 On the 25th January 2015, I was very fortunate to be invited to speak at The Giving Back Conference hosted by the amazing Brett Moran http://brett-moran.com/gbc This is the second year running Brett has hosted the event and all funds raised go to ‘Rebuilding Sri Lanka’. 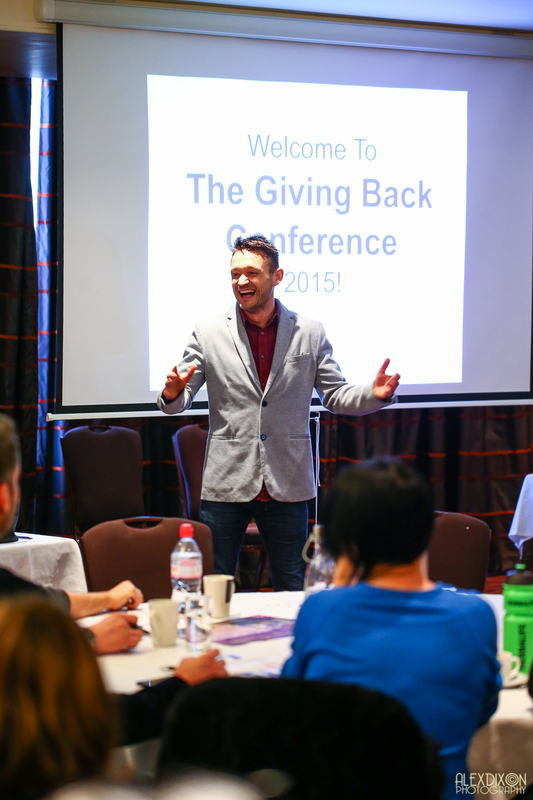 Not only were the speakers and organisers at The Giving Back Conference giving their time freely and willingly to raise funds, we all gathered to give you the opportunity to ‘Give Back To Yourself!’. The energy in the room was amazing. Nearly one hundred beautiful souls gathered together to give back to themselves and showed up for this life changing transformational event to create personal shifts and global change. Principles were shared to help to initiate mindset shifts so that each and every person attending can achieve their personal goals. 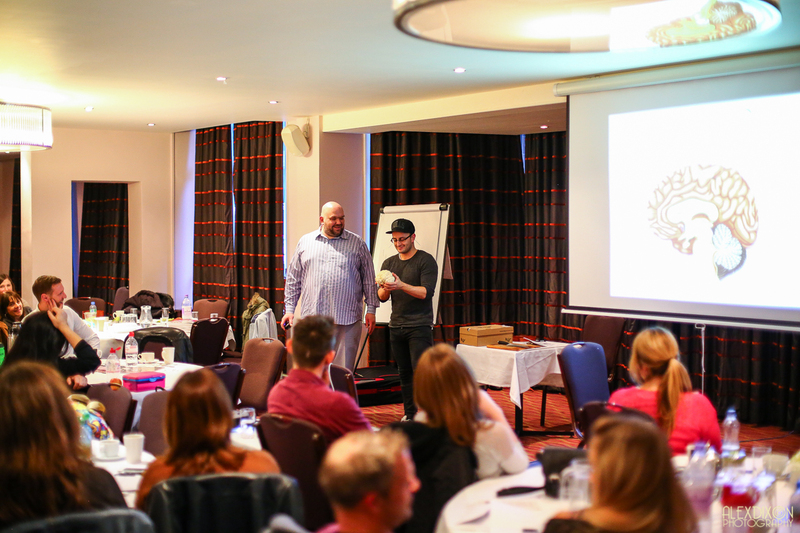 Speakers Tim Box & Zoe Clews, street hypnotists http://boxandclews.com/ blew our minds with just how easily our minds can believe something even if it’s not real, it feels real. Brett literally had his hand glued to the table believing he couldn’t move it. How many of your limiting beliefs are like that? Brett has a passion for helping others and an exuberant energy for life and living. 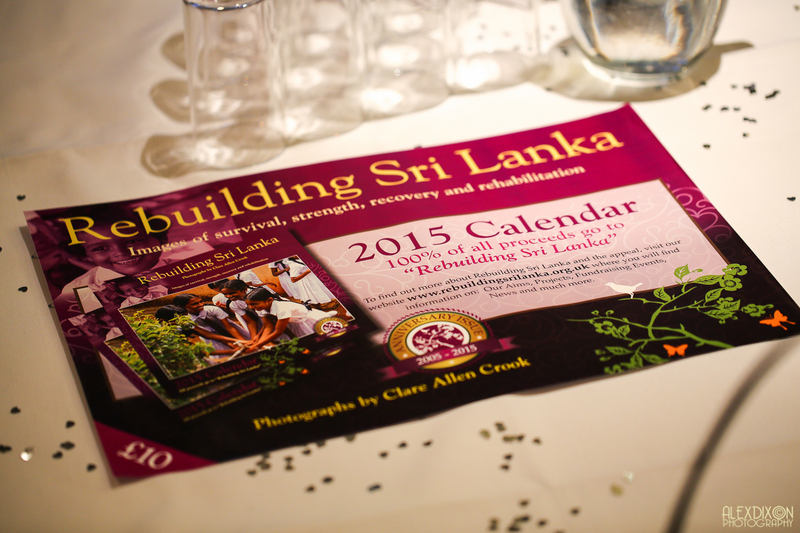 The funds raised from the day will add so much benefit to the people of Sri Lanka to rebuild their lives. Thank you Brett for making a difference to all that had the opportunity to attend The GBC, our lives and the lives of others will never go back to the same shape after experiencing this transformational day. 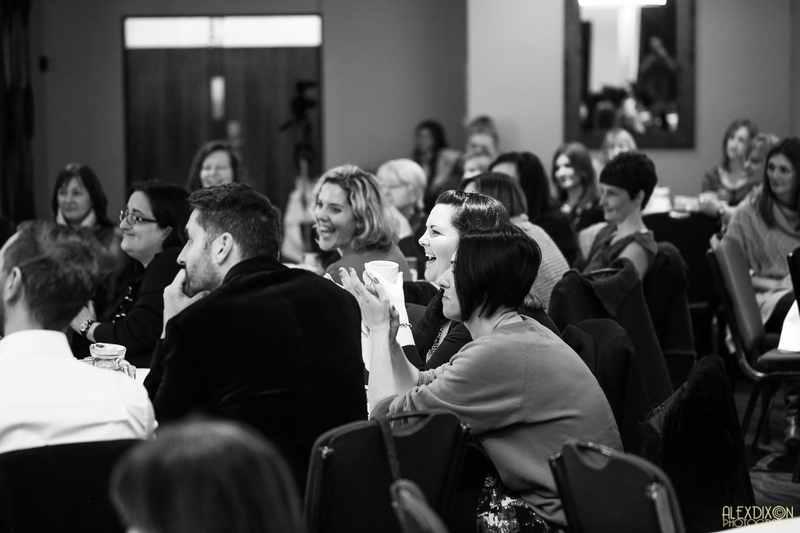 I was up next as a new speaker which was an amazing privilege for me to connect with others who were open and ready to learn about ‘self love’. 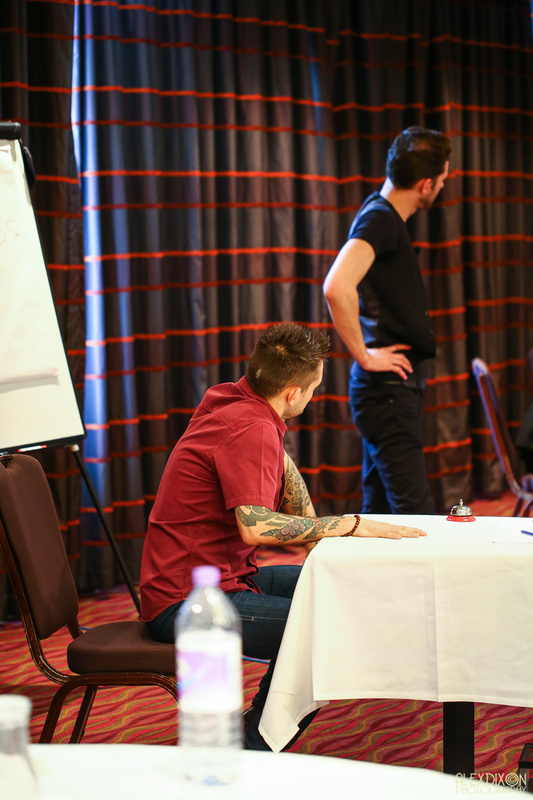 There was so much acceptance in the room, so much trust, so much openness and so much love. I shared my own story about believing at the age of twelve when my dad left that ‘I was Unlovable’ and talked a little about my first book ‘Find YOU, Find LOVE‘ which shares the tools and techniques that guide you to finding more self love, self acceptance and as a result be able to give and receive love without conditions. I realise now as an adult that the beliefs I formed weren’t true at all and that the reason my dad left was that he too felt unloved. Beliefs can shape our lives negatively and positively. Be sure to check in with your beliefs and how they may be limiting you. Many people at the conference shared with me that they resonated with my own story and were able to identify their own limiting beliefs about love and relationships based on their own individual experiences, often in childhood were still shaping their lives and how focusing on the past was limiting the capacity to fully love and the opportunity to fully live. I could have talked all day about this subject and getting to know each persons experience of putting love outside of themselves, it’s a subject I will never tire of. My journey has made me who I am and my pain has allowed me to connect with each of you through love and i wouldn’t change that for a thing. Make your past work for you and shine your light on all that is possible for you and then some! Leading the group through The Spotlight Process a simple process which helps you examine where you are sending your thought time and how to bring your thoughts into balance, EFT (The Emotional Freedom Technique) to aid releasing pain from the past connected with love and relationship difficulties and a beautiful Future Life Progression to meet the ‘wizened older self’ to share messages about self love. I felt truly humbled to connect in this way with so many. 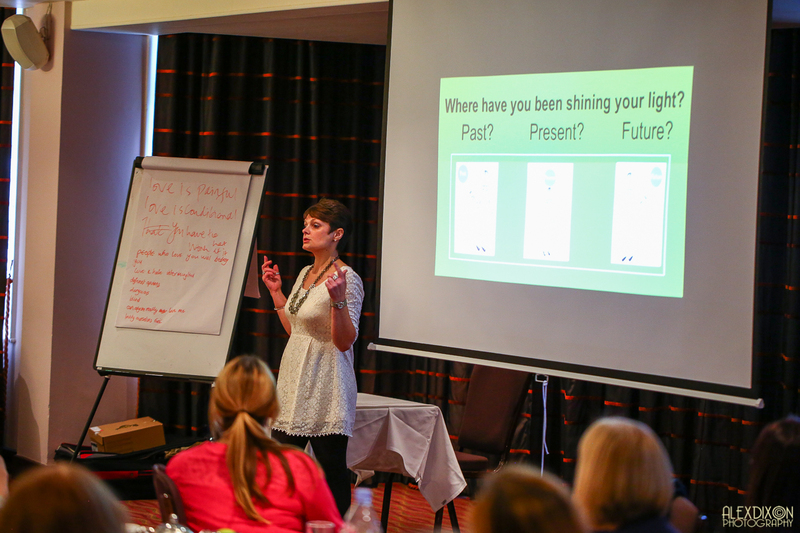 Thank you to all who joined in with these amazing techniques, Many of you came up after to feedback about the shifts, transformations and ‘light bulb moment’s’ that you had from applying the strategies offered to you. Giving back to yourself in this way will have so many benefits and those benefits will grow and grow long after the day itself. Next up was the very gentle and calming Robert Gebka, Director of The Dorset Mindfulness Centre http://www.dorset-mindfulness.co.uk/ Robert is author of Managing Depression with Mindfulness for Dummies. Robert had some amazing demonstrations that showed us how the mind can become overwhelmed with thinking and overwhelmed with doing, he talked us through some relaxations and I have to be honest, I was so zoned out getting into them I can’t even remember what he was saying, it was just like being still and going inside, being but not hearing or doing. It was soooooo sooo relaxing. Here’s Robert with Brett. What a winning combination to teach us to give something back to ourselves through awareness. Brett shared with us details of a book ‘Moment, By Moment’ by Jerry Braza & Tich Nhat Hanh which lead to Brett’s own personal transformation and boy did will all have some transformation moments on Sunday. Although i’m writing away here, much of the day was beyond words. Thank you to each and every one of you that showed up, I am so humbled to have shared the space and shared the love with you. You make the difference! Be proud of yourselves! 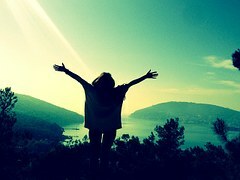 Today and every day is the first day of the rest of your life, LIVE IT! Special thanks go to Jo Galloway, Brett’s PA who made it all happen…what’s a spelling mistake between friends x Love you Jo! Praise and a massive high five go to the awesome Alex Dixon, photographer and general nice guy, a strong, silent presence who has captured beautifully all the magic moments from the day. Stupendous praise, thanks and love go to the gorgeous Ella Brett’s daughter who helped us out with the raffle, check in and generally just being her beautiful self. I thought she might be a little camera shy for this blog, believe me she is like her daddy, beautiful inside and out. What a difference a day makes, twenty four little hours. That difference is YOU! Day by day, week by week, moment by moment go back to the heart of you. Within you is everything you will ever need. 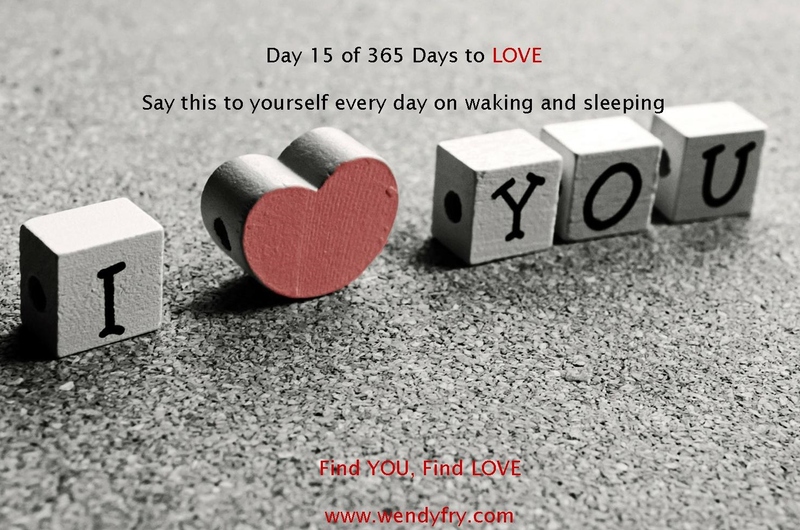 When was the last time you said ‘I love you’ to yourself? If it was a long time ago or never, now is the perfect time to change that. Do you find it easy to tell others that you love them, or say it in the hope to receive the declaration of love back? What about you, how much self love and self acceptance do you have? It took me a long time to realise that putting love outside of myself for another person to validate me was setting myself up for failure. Creating loving relationships comes from loving yourself first. Your outer world will mirror back to you your inner world. What you believe about yourself both the positive and the negative, you may attract back towards you. When you are more tender and loving towards yourself, you will have reflected back to you boundless opportunities for love. You have an opportunity right now to learn from the past and to work towards treating yourself differently, learning to respect, love and honour yourself completely. It’s time to start appreciating and acknowledging yourself for who and what you are. Any time you come away from your truth, your wholeness, your centre and lose sight of your greatness and your lovability, gently forgive yourself and go back to treating yourself with love, respect and care. When you slip back into old behaviours of self criticism, self judgement and harshness, think about what it was that made you act in an unloving way towards yourself and be aware of any thoughts, words and actions that you expressed about yourself that were hard hearted and insensitive. When you learn to be more loving and considerate to yourself first and foremost, your inner mirror reflects to the outside world that you are happy, content and already filled with love and this is what will show up for you…even more love! I love knowing that I deserve…. When you are able to love and accept yourself totally for who you are, life unfolds and supports you in a way that you may never have dreamed possible. You are completely self sufficient, whole, resourceful and complete without the love of another. 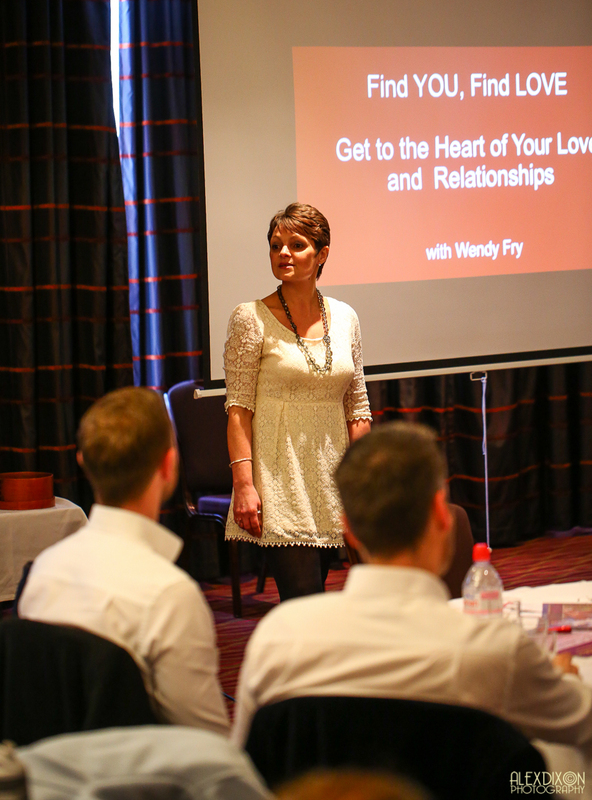 If you would like to find out more about my services and the love & relationship support available to you go to https://wendyfry.com/services/ I work internationally over Skype and in person in Sutton, Surrey. there is no limit, none at all! What part of your story is a replay of what happened in the past that is negative? How often do you tell this story? When you tell this story, how do you feel? Is your story one that you are creating about the future with a negative expectation based on the past? How is thinking in this way limiting you? What are the consequences of thinking this way? The memory on replay or the thought about the future isn’t real though your mind and body may think it is real and you will find your body responding to a thought. For example if you’re anxious about a past event or something happening in the future that worries you, you may find yourself breathing shallowly, having sweaty palms,have butterflies in your tummy or even start feeling dizzy. There is no evidence at all except the story in your mind, that the negative aspects of your past will repeat themselves or your future fears will come true. It’s a story that you may have been playing for way too long and when you play that story over and over your body hears that story and will respond with the physical reactions based on your thoughts about fear, sadness, despair etc. The limitations that you place on your future are really just thoughts! The future is not limited, but your thinking may be. It’s time to change the story. Use the following twelve steps to bring your thoughts back into balance every time you recognise yourself going into automatic negative thinking about love and relationships. Copy out these statements and carry with you until the questioning becomes part of your natural thought process to bring yourself back each time you go into a story. 1 Am I confusing thought with fact? 2 Am I predicting the future negatively? 3 Am I jumping to conclusions? 4 Am I assuming I can do nothing to change my situation? 5 Am I overestimating the chance of disaster? 6 Am I thinking in all or nothing terms? 7 Am I only paying attention to the negative side of things? 8 Am I telling myself I’m not lovable because of things that have happened in my past? 9 Am I focusing on my weaknesses and forgetting my strengths? 10 What are the advantages and disadvantages of thinking this way? 11 Do my negative thoughts help or hinder me? 12 If I bring balance to my thinking, what would love do here? The past is over. It’s gone. It’s history. Only your thoughts and energy of ‘The Story’ and these negative experiences keep the past alive. It’s only your thinking and the energy connected to this experience that remains, not the actual experience itself. On a brand new sheet of paper or in a journal, write a story about a day in your life. This will be no ordinary day, it will be the story of your ideal day when you look through the eyes of love – think specifically here about love and relationships and include that in the main content of your writing. How will you be thinking differently? What will you hear going on around you? Write this story from the truth of who you are. Write it from your heart space where you are open to giving and receiving love. Take time to go over your story, making sure it’s complete and then read your story every day for a week. By focusing on what you want, rather than what you don’t want and getting into the energy space of having what you dream of, your dreams are more likely to become a reality. It is also very uplifting to be thinking from the place of what is possible and that everything you have included in your ideal day is achievable. You will be writing this in the present tense, as if what you want has already come to pass and you are enjoying your life and love relationships. 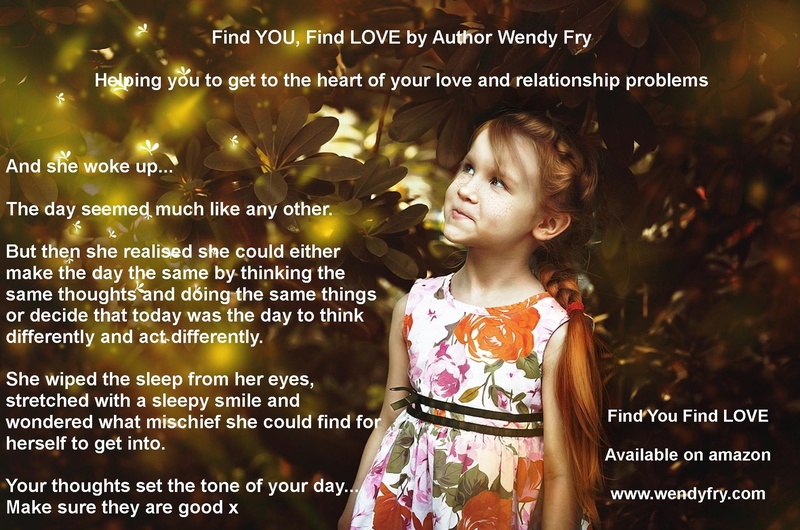 Please do make contact if you’d like to work with me at www.wendyfry.com You can also download some free resources and audios on love and relaitonships on there too. ‘My Ideal Day’ is a creative heart based exercise that can be used to get you thinking in a more positive and optimistic way, moving you beyond any limited thinking, to a place where all things are possible, encouraging you to live your life with passion and purpose. When you focus on what you want as if it is already yours, it is likely to show up much sooner than you think. On a brand new sheet of paper or in a journal, write a story about a day in your life. This will be no ordinary day, it will be the story of your ideal day and how it will be if you have everything you want – think specifically here about love and relationships and include that in the main content of your writing. 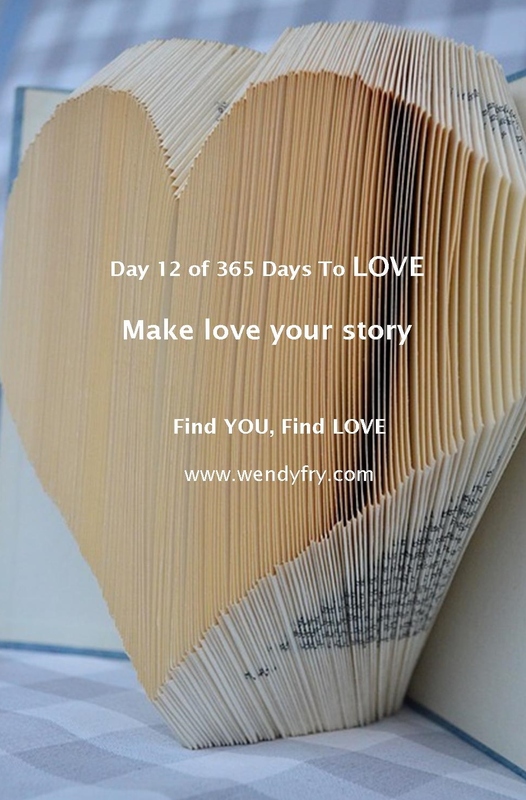 Write this story from the truth of who you are (not someone you feel you ‘have’ to be), write it from your heart space where you are open to giving and receiving love. I have included a few ideas here to get you in the groove of acting ‘as if’. You can follow these pointers adding in your own positive endings in your journal or writing your ideal day from scratch in story form. Use the following statements in the written exercise or you might like to tell the story orally out loud, you might like to paint a picture of your ideal day, create some music that expresses it, sing a song about it etc. The more you tell the story of your positive ideal day the more likely you will attract that to yourself. get into the energy space of acting as if. I love how it feels when….. It makes me feel so good that…..
I’m excited at the thought of….. It feels so good to be…. Be sure to read your story every day for a week (or longer if you wish to) and start to notice how differently you feel about yourself and your future. When you can change your mind set about what is possible rather than what is impossible this changes your energetic vibration, try it and see. 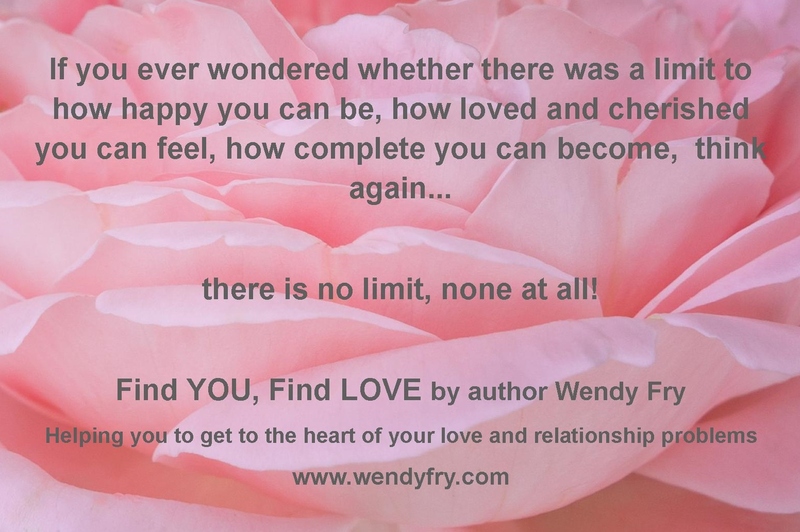 It is my wish for you that you can recognise just how far you have come already on your journey to finding you and finding love and to realise that you are far more capable of creating a life of your dreams than you ever imagined. My wish for you is that you see your true worth, your true power, your true essence because who you are is amazing. 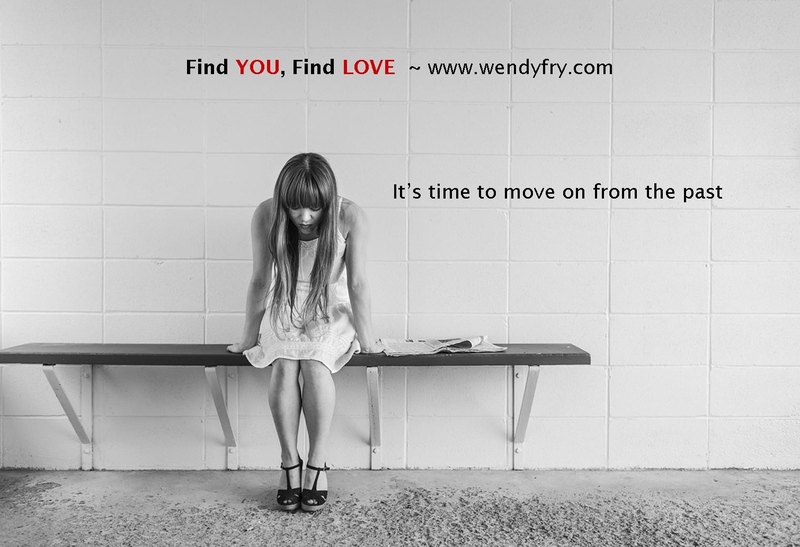 If you’d like to work with me hop on over to www.wendyfry.com It will be my joy to support you in getting to the heart of your love and relationships. You can find some amazing free audios and downloads on my website, do hope you enjoy using.